There is a growing awareness in New Zealand of the need to encourage young people to develop science, technology and maths skills. Why? Because it is these skills that will be required in the jobs of the future. So, from a community investment point of view, we feel we can make a difference by helping young people get excited and interested in STEM (Science, Technology, Engineering, Maths) so that they can be the ‘energy innovators of the future’. Central to this new direction is our own School-gen programme, which provides educational resources and activities for students, teachers and families, and is our flagship community initiative. Read more about that programme here. School-gen is our way of inspiring children to become energy innovators. Since 2006 we have given all New Zealand schools open access to our School-gen education programme. School-gen has worked with over 90 schools so the students can see in ‘real time’ how much electricity their solar panels are generating, and what a difference their energy efficiency can make. In 2018 our focus has been on engaging students with STEM and sustainability, through new resources, games, maker projects and competitions. Genesis and the Department of Conservation have been working together since 2011 to secure the future of one our most endangered native birds, the whio (Blue Duck). The partnership funds predator control programmes to secure the population of this highly endangered species. In addition Genesis and DOC run communication and advocacy activities to grow awareness of the plight of the whio and the need to protect it. The Taupo for Tomorrow programme is an educational programme run in conjunction with the Department of Conservation and the Tongariro Trout Centre Society at the National Trout Centre in Turangi. The focus of the programme is on environmental sustainability with a specific focus on the importance of protecting the fresh water habitat. 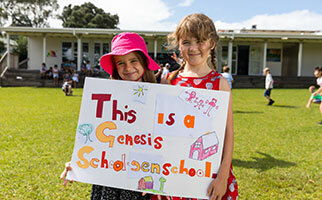 Genesis has teamed up with the Graeme Dingle Foundation to run their programmes in schools in the Waikato. The Foundation is a leader in the field of youth development and run several proven programmes that lift the skills, self-confidence, motivation and achievements of young New Zealanders aged 5 - 18 years. Check out the Foundation's latest video to see how its programmes transforms lives. Books in Homes aims to encourage reading and targets students in low socio-economic areas where the children are more likely to come from bookless homes. Genesis supports the Books in Homes programme at Huntly Primary School and Huntly West Primary School. Aoraki Bound is a 20-day programme which brings together Ngai Tahu tikanga culture with the learning and development expertise of Outward Bound to foster personal development and build leadership. Genesis is a major supporter of Curtain Banks in Wellington - Sustainability Trust and Christchurch - Community Energy Action. 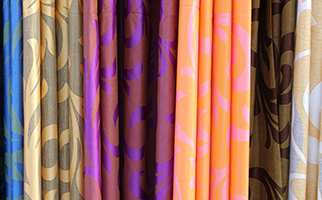 These Curtain Banks take donated second-hand curtains or fabric and re-cut and line them for distribution to households in need. The aim is to assist families to save money on their energy bills by creating warmer, healthier, more private homes. 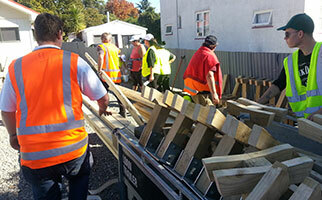 The Nga Kanohi Marae o Wairarapa Marae-based Trades Training Scheme works with young people from marae in the lower North Island, teaching skills such as building and carpentry, allowing them to gain NCEA credits as well as personal and professional skills. This provides valuable grounding for careers in the allied trades or building industries. As they learn, participants are also contributing to the maintenance of buildings and facilities in their communities.